Located in the middle of the Pacific Ocean, Hawaii’s most active shield volcano has produced the world’s largest mountain. Although Mount Everest is the highest mountain in the world at 29,035 ft, the highest peak of Hawaii, Mauna Kea, is 33,500 ft tall. This takes into account the ~20,000 ft below water that it had to grow to even reach the ocean’s surface. 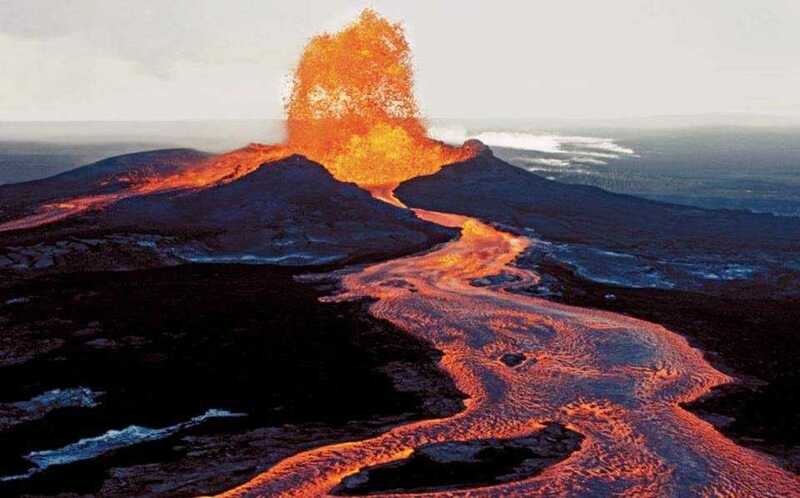 Hawaii’s hot spot has produced an incredible amount of basalt and continues to erupt daily. This is one of the few places you can walk right up to lava and wonder at its destructive power.